This months project has been the cockpit sole. Being wider that 4 feet it wouldn't come out of an 8x4 sheet of ply. So it has a center section to make up the difference. This I made from a couple of recycled floor boards, many thanks Richard. They are bonded together with epoxy and the picture shows them being cleaned up. The finished width of this board is 8". 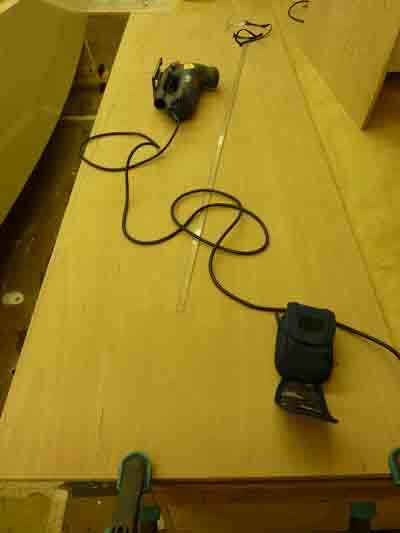 With the 8x4 sheet of 1/2" ply cut in half lengthways each piece was marked to give a 1" offset to the hull sides with each board edge being 4" from the cockpit center line. 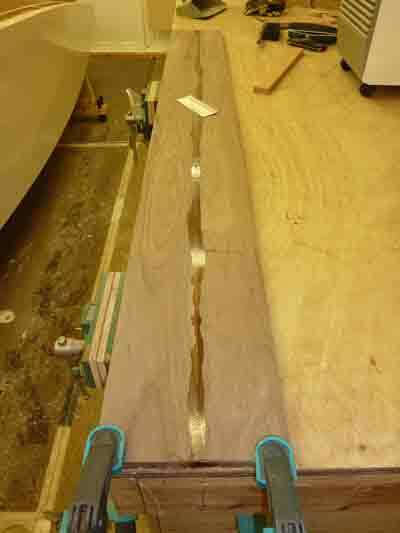 With the edge profile marked, spline and weights, it was time to fire up the jigsaw and get cutting. This is how they look fitted in the correct place but without the center section. Now with the center section laid on top. 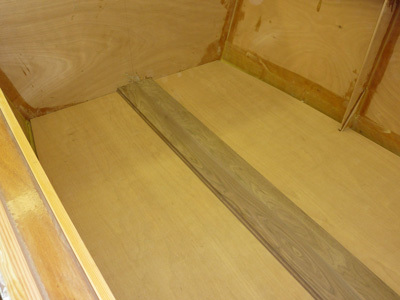 The step on each side of the center section that supports the plywood side pieces can be clearly seen here. 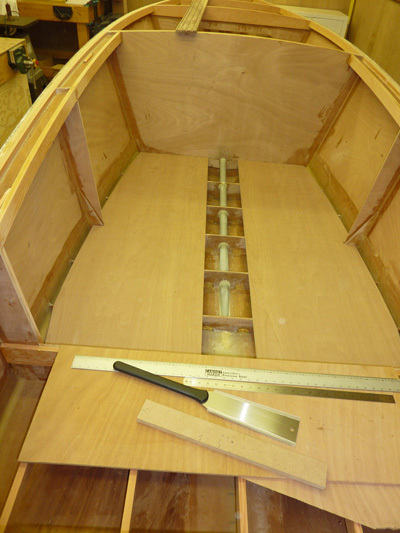 The next step is to cut the reliefs for the support bulkheads which will bring everything down to the correct level. 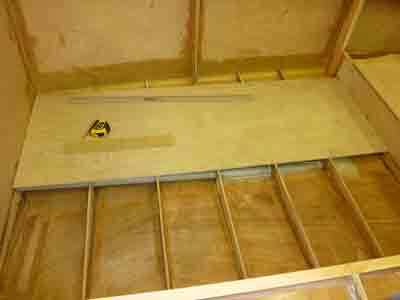 It will also need some strategic access holes adding to allow for cleaning the bilge. 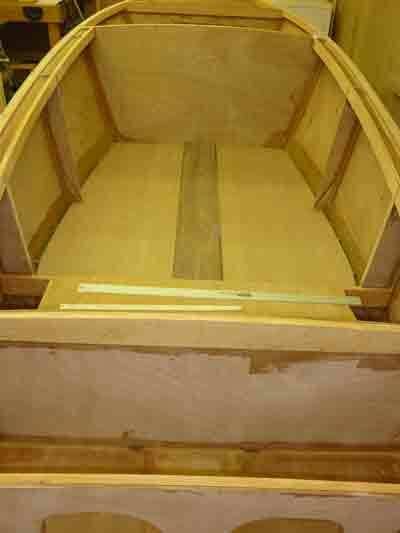 Then I need to prep the hull and epoxy seal the sole components prior to bonding it all in place.